Carry your shopping goods home in these sturdy Sew-Fun Shopping Bags. description: Sew-Fun Shopping Bags made from sturdy fabrics. Reusable and washable. 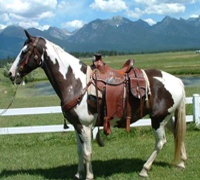 description: Horse blanket padding for under your riding saddle. description: Safety reflections for nighttime horseback riding. Illuminate yourselves. description: Heat pack for your neck and shoulder area. Pattern for home-made sun visors. Re-usable and tons of fun. description: Open and create! This comes complete with the pattern template and fabric. We offer several different materials packaged along with the reusable pattern. Keep the sun out of your eyes and express your creative side. Patterns And Sewing combined to create a fun time! © 2019 Patterns Sew Fun. All Rights Reserved.